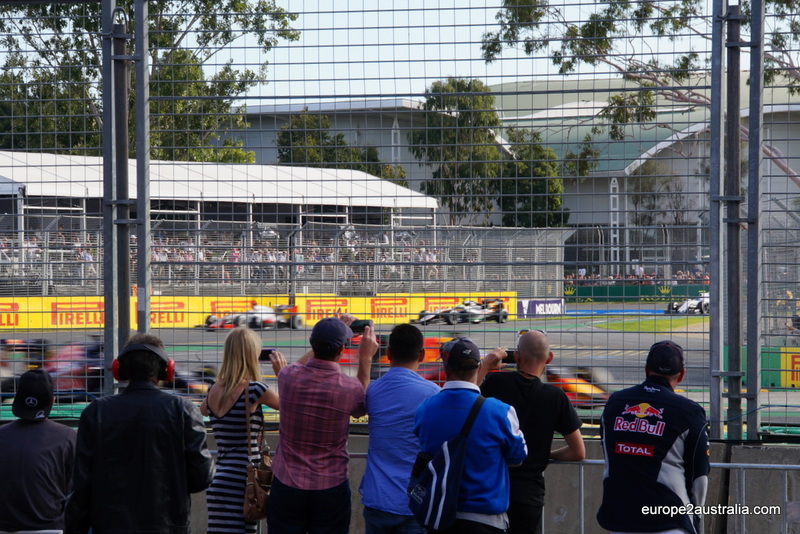 If you are a bit of a F1 enthusiast, you will know that the new season started today, with the Australian Grand Prix the first stop on the calendar. 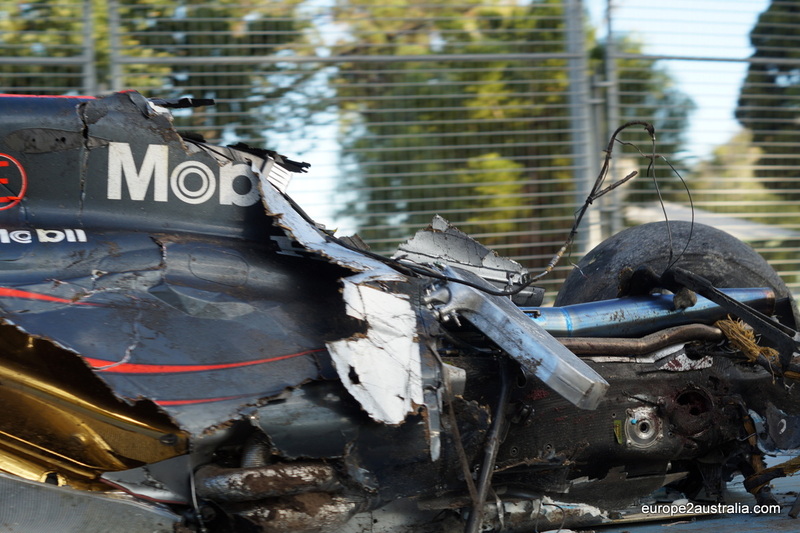 And, if you followed the race (or the news), you will have heard about the crash between Alonso and Gutierrez. Well, I was there when it happened. It was a pretty surreal moment when we saw on the big screen that there had been an accident not 100 meters away from where we stood, and we had not even noticed. But it was over before it even started, as both drivers got out of their cars unharmed. 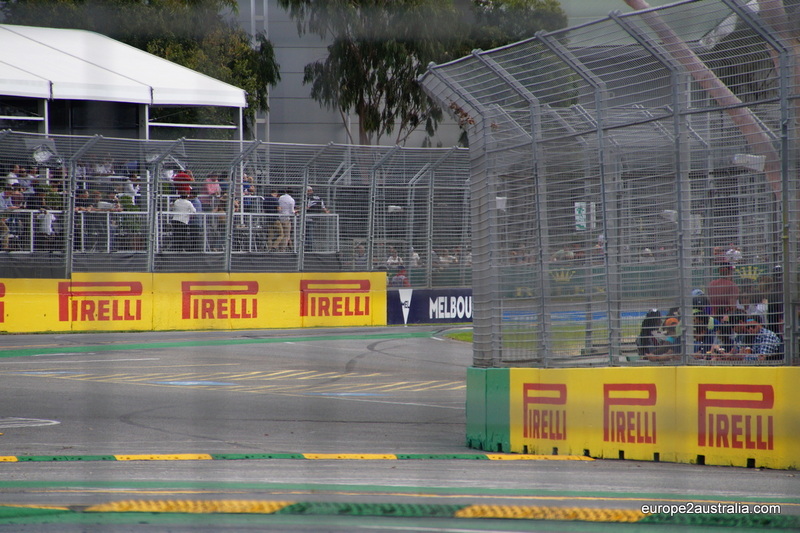 The track was empty while the race was suspended. So everyone checked their phones or went to the bathroom. 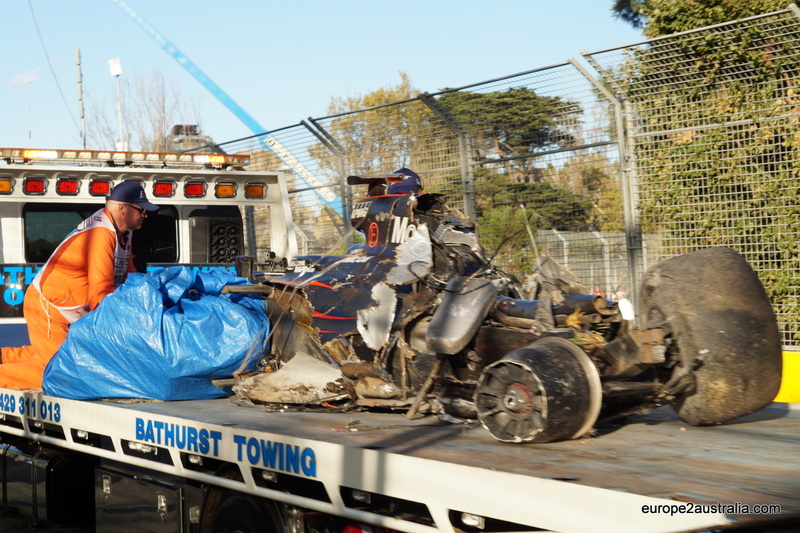 There was a round of cheers as the medical car drove by with Alonso in it, and the race got suspended for about 15 minutes while the debris was cleared away. But that was about the only impact to the race and the experience. When everything got under way again, all focus was back on the race. In an interview, Alonso was actually quite relaxed about the whole thing. 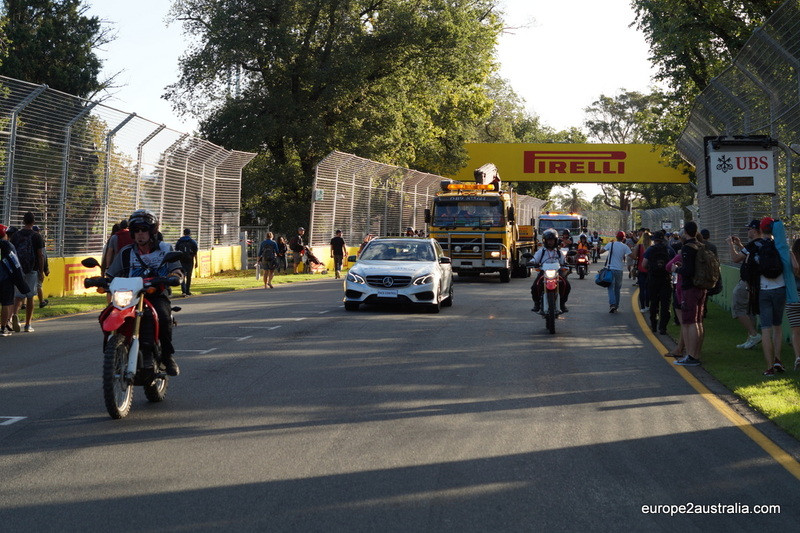 However, after the race while we were walking along the track to get back to the exit, a convoy of tow trucks passed us. And seeing what they were carrying really drove home how extraordinary it was that no one got hurt. A small convoy was making its way through the people walking along the track after the race. 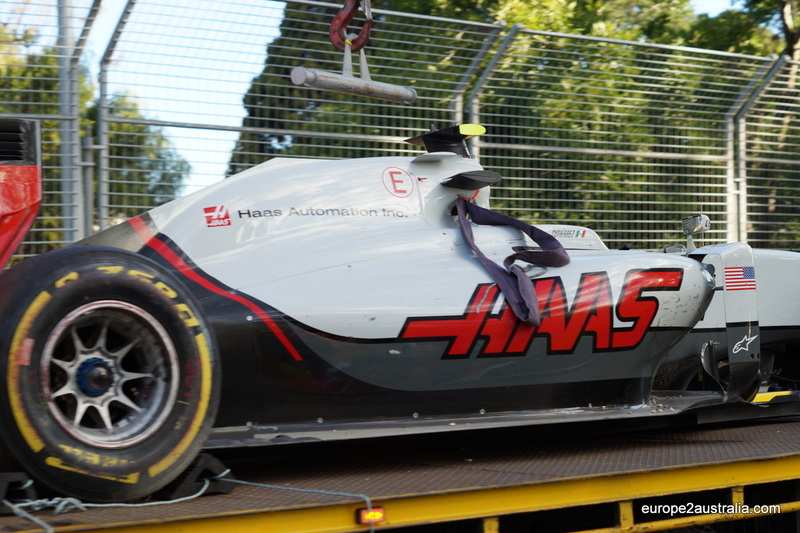 The first truck carried what what was left of the Haas. Not too bad. No what you can say about the McLaren, though. The car was in multiple pieces, and not much evidence was left that this had, at one point, been a car. As Mark Webber said in an interview on the big screen during the race: F1 remains a dangerous sport, but for the drivers, that’s part of the thrill. That’s part of why they are doing what they are doing. I have to say that while I enjoyed watching the race (and everything surrounding it), I think I will leave the driving to the professionals. Nou dat ziet er indrukwekkend uit hoor..Blijf jij maar lekker bij Willemijn en de kinderen.😀Uit Oropesa!! 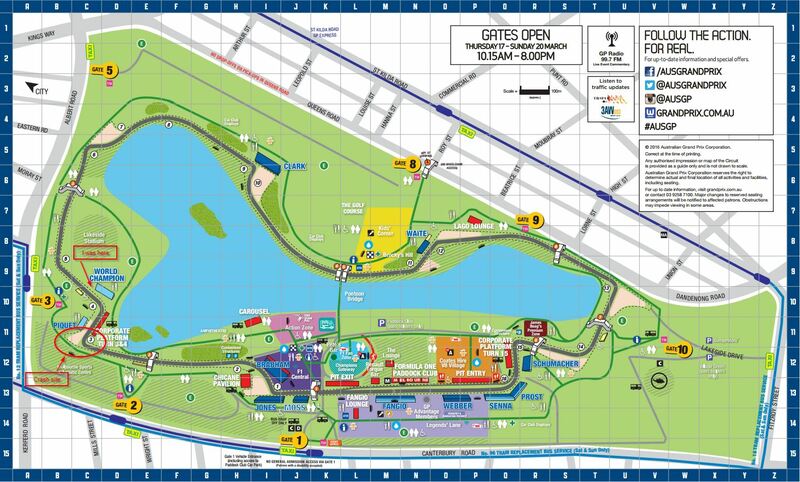 Volgens mij is het al een ervaring op zich om zo’n race live mee te maken 🏎. I think these crashes in the racing circuit are more common than we think, they look pretty spectacular though to us mere spectators.